Don Rickles, the legendary funnyman known for his insult comedy, has died. He was 90. His publicist Paul Shefrin told the L.A. Times that Rickles died on Thursday of kidney failure at his home in Los Angeles. No one was safe from Rickles’ jokes, the famous and nonfamous alike. He took jabs at everyone, from the Rat Pack (“They were great. They had a gun and they held my mother hostage.”) to President Ronald Reagan, who he put on blast at his own inaugural ball. His days in the spotlight included Las Vegas shows, TV guest spots and movie roles. He made numerous appearances on “The Dean Martin Celebrity Roast” specials, on “The Tonight Show Starring Johnny Carson” and on “Late Show with David Letterman.” His film career included projects such as “Pajama Party” (1964) “Toy Story” (1995) and “Casino” (2006). Rickles was among several Hollywood survivors age 90 and older profiled by “The Hollywood Reporter” in December 2016. In a piece entitled “Creative Until You Die,” Rickles said his short-fused style was not an act. “That’s my personality. There are guys that are trying to do that, but it’s foolish of them because it’s in my personality to do that — it’s not something you rehearse or practice, it’s part of ya, you know?" Rickles is survived by his wife of 52 years Barbara Sklar, his daughter Mindy and grandchildren. His son Larry, who produced the HBO doc “Mr. Warmth: The Don Rickles Project" — which won the elder Rickles an Emmy — died in 2011. 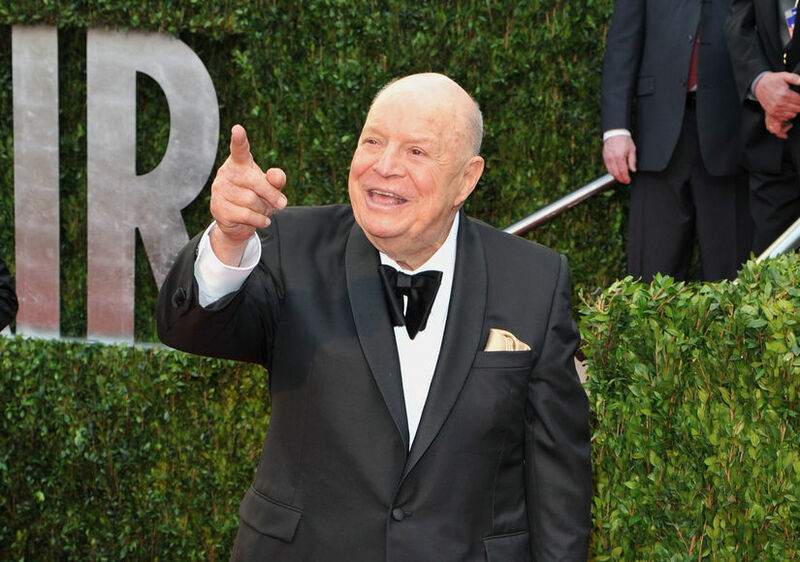 The stars paid tribute to Rickles via statements and social media. Bob Saget described the icon as "My friend, my dad, the funniest biggest hearted of them all. A beautiful husband and father. My heart is broken. Rest In Peace. Don Rickles". Chris Rock posted a photo with Don, calling him the "love of my life." He added, "Don Rickles is funnier right now in death than most comics are in life." Conan O'Brien remembered him fondly, writing, "I was thrilled to interview/be insulted non-stop by the legendary Don Rickles. I will sorely miss this incredibly funny and lovable man." Jimmy Kimmel wrote, "90 years with Don Rickles weren't enough. One of the sweetest and most lovely people I had the pleasure of knowing. We miss you already."